Eye drops: Which type is best for you? There's an eye drop or ointment to relieve the symptoms of most eye problems — whether you have dry eyes, pink eye (conjunctivitis), red eyes or itchiness. 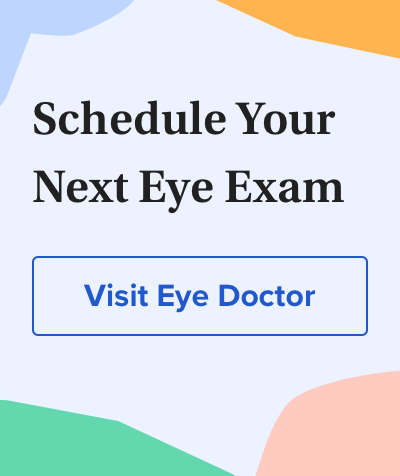 Of course, if you develop any of these eye symptoms or conditions, it's always best to consult your eye doctor to determine the cause and severity of the problem and the best treatment. Eye drops and ointments can be broken down into two categories: non-prescription eye drops and prescription (Rx) eye drops. Non-prescription eye drops also are called over-the-counter, or "OTC" eye drops. Non-prescription drops are appropriate in many cases, and they typically are less costly than prescription eye drops. But before using OTC eye drops, see an eye doctor to determine which type of eye drop is most appropriate for your needs. Don't gamble with your eyes! Lubricating eye drops, also known as artificial tears, can provide relief for short-term dry eyes, when the cause is related to temporary circumstances such as computer eye strain, being outdoors in windy and sunny conditions, and tiredness. Most OTC lubricating eye drops work by adding various tear elements that are in your eyes already, to supplement your natural tears and make your eyes more moist and comfortable. It's best to avoid decongestant eye drops for dry eye. You'll recognize a decongestant eye drop because it's typically advertised as relief for red eyes. Decongestants make your eyes look less red, but they also can worsen dry eye symptoms in the long run. If your dry eye problems are more severe, you may need to use a lubricating gel or ointment. Because gels and ointments for dry eyes can cause blurry vision for a while after you put them in your eyes, most people use them just before going to sleep. If OTC eye drops or ointments don't do the job, prescription eye drops and ointments and additional dry eye treatments such as punctal plugs are available from your doctor. Decongestant eye drops, or whitening eye drops, contain vasoconstrictors that eliminate red eyes by shrinking the tiny blood vessels on the white part of your eyes (sclera), making them less visible. While decongestant eye drops are effective at getting rid of redness, be mindful that they can mask a potentially serious underlying problem. It's always best to first consult with your eye doctor to identify the cause of your red eyes. Decongestant eye drops can cause dryness and irritation, dilated pupils and other adverse effects if they are used too often. Also, your eyes can develop a tolerance to the eye-whitening effect of these drops, and even greater redness (called rebound hyperemia) can occur when the effect of the drops wears off, forcing you to use them more and more. If your eyes are red from tiredness, dryness, lack of sleep or general irritation, an OTC lubricating eye drop can offer safe relief. If your eyes are red from allergies, lubricating drops also can help considerably by washing what you're allergic to — such as pollen — out of your eyes. Antihistamine eye drops are specifically formulated to treat itching due to allergies. Allergy eye drops work by reducing histamine in the eye tissues. Allergies can cause eye symptoms such as itchiness, redness, wateriness and puffy, swollen eyes, for which OTC antihistamine eye drops also may be useful. Some decongestant eye drops for red eyes also have antihistamines in them. They're labeled as treatments for itching due to allergy, but decongestant eye drops usually aren't recommended for long-term-use (see eye drops for redness above). If the itching is severe and doesn't improve with OTC treatments, it's best to see an eye doctor for prescription eye drops and/or oral medications. Before you consider using eye drops for soreness, it's essential to determine the underlying cause. Usually eyes become sore because they're dry, strained, tired or just plain overused. But if you develop sore eyes, see an eye doctor immediately to rule out a serious eye infection. Lubricating eye drops may provide relief for eye irritation from visual stresses such as crying, eye discharge related to allergies and swelling from inflammation and allergies. However, "mattering" or thick, yellowish eye discharge caused by an eye infection may require prescription antibiotic eye drops. Pink eye (conjunctivitis) is one of the most common types of eye infection. The term "pink eye" is a catch-all for several different types of conjunctivitis. Bacterial conjunctivitis usually makes your eyes really red and sore, with a thick, yellow, sticky discharge. Bacterial eye infections should be treated with prescription eye drops from your doctor. Viral conjunctivitis is contagious. Some viral types of pink eye go away on their own, but the severe kind will cause red, watery, sore eyes, along with a clear or whitish eye discharge. You may also have blurred vision. If you have viral conjunctivitis, OTC lubricating eye drops can make your eyes feel better, as can cold compresses or ice packs. But if symptoms grow worse, you should see your eye doctor for additional treatment. Allergic conjunctivitis is the most common cause of eye redness and usually causes itching, swollen eyelids and watery, bloodshot eyes. Allergic pink eye is not contagious.Over-the-counter lubricating and antihistamine eye drops can provide relief in most cases. Taking OTC antihistamines such as Zyrtec, Claritin or Benadryl also can help. If symptoms are severe, your eye doctor may need to prescribe stronger eye drops or oral medications. If you're using an eye drop to relieve symptoms of eye infection, never touch the end of the bottle to your eye. You could contaminate the bottle, which could spread infection. Rewetting drops are specifically formulated for contact lenses and can provide relief for dry eyes and discomfort associated with contact lens wear. If you choose to use regular OTC lubricating eye drops while wearing contacts, check with your eye care practitioner to see if your contact lens type is compatible with the eye drop you're considering. Unlike rewetting drops, many eye drops — OTC or prescription — are not intended for contact lens wearers, and you may need to remove your lenses before applying the drops to your eyes.